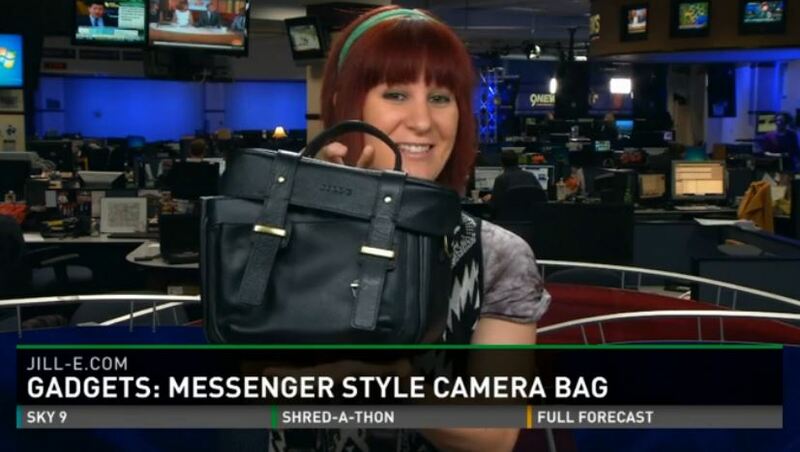 Congratulations to our Client Jill-e Designs for their feature on 9NEWS! Founded in 2007, Jill-e Designs creates bags and carriers in smart and stylish designs for daily use, tailored specifically for digital and mobile devices. The Jill-e Designs Messenger Style Carry-all Camera Bag has a changeable front cover panel with several different options. The bag is designed to carry and protect a digital SLR camera or a camcorder with accessories. There are optional zip-on covers. Made to resemble a purse or tote bag, this bag is a fashion-forward choice for carrying equipment. The bag is made from weather-resistant polyester nylon with padded interior walls. Check them out at jill-e.com!